When on board, whether cruising, at anchor or in port, the comfort of you and your guests is paramount. Dynamiq yachts offer a smooth and stable motion thanks to the innovative hull design, which also uses the latest in electric stabilisers and special hull control systems. The owner’s cabin is located in the optimal position on the lower deck, where motion is proven to be at a minimum. The quality of the air you breathe is assured with an advanced air conditioning system that refreshes the air several times an hour, while special, next-generation glass for the main deck windows keeps the heat out. Noise and vibration are the lowest in class, thanks to exceptional insulation and our innovative propulsion system. Even on deck your comfort is assured, thanks to wind protection and infrared heaters that extend the seasons you can enjoy the outdoor spaces. Dynamiq yachts are built in aluminium. Regarded as the optimum construction material particularly for performance vessels, aluminium offers the perfect balance between strength and weight, ensuring fast yachts with highly efficient characteristics. Our build partners are experts in aluminium construction. The Dynamiq Sport versions also feature ultra high-tech carbon fibre elements combining lightweight strength with futuristic looks. Want to get to your favourite weekend haunt without wasting time on passage? Our hulls have been designed and optimised by some of the world’s leading naval architects and have top speeds of up to 25 knots while remaining remarkably efficient. Not only do you benefit from much lower fuel consumption, our pod propulsion systems from Fortjes also mean less noise and vibration than conventional shafts and propellers, and more interior space for your guest areas. That all equates to improved comfort on board, and reduced running costs. Dynamiq’s hulls are not just designed to get to your favourite anchorage in a hurry – they have also been optimised for long-range cruising. The round bilge design and clever bow shape mean a range of more than 3,000 miles, while a shallow draft of just 1.7 metres means you can get into shallow bays and anchorages that are beyond the reach of other superyachts. Dynamiq recognises that a clean yacht is more enjoyable for you and your guests. Dynamiq’s advanced thinking in emissions control and waste management delivers benefits both to you and to the environment. 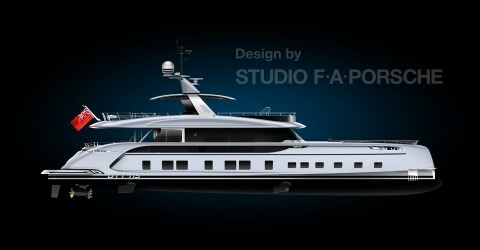 Inside, Dynamiq is pushing boundaries by using glass technology not seen before on a yacht. This next-generation solution means not only a more comfortable interior environment, but also lower air conditioning loads, which means further fuel savings and further reduced emissions. In fact, all Dynamiq yachts are designed and built to meet the strict environmental standards of RINA’s exclusive Green Star Plus notation. 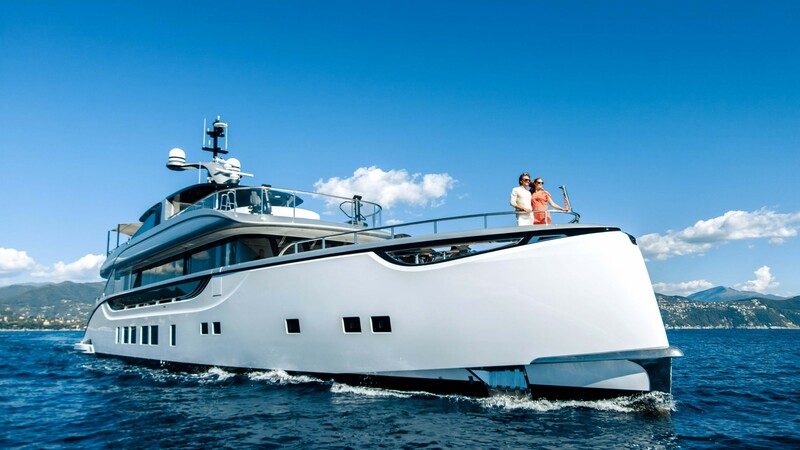 We believe the safety of you and your guests is paramount, and that’s why Dynamiq builds its yachts to the very highest industry standards incorporating the very latest safety systems. In fact, we build our yachts to meet the stringent requirements of the LY3 large yacht code, which is considered the benchmark worldwide for the design, construction and operation of superyachts. Designed in MONACO. ENGINEERED IN THE NETHERLANDS. Dynamiq shipyard is located in the picturesque area of Massa on Italy’s Tuscan coast. 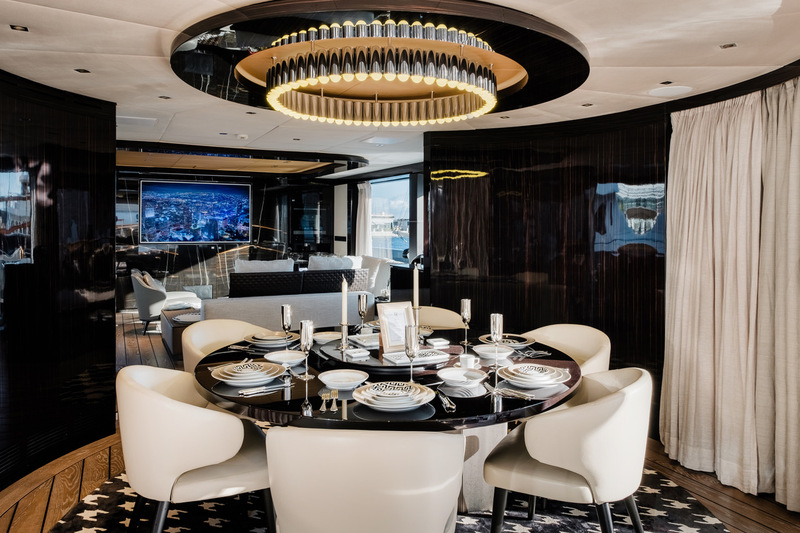 This modern and high-tech facility is well fitted out for building the full range of Dynamiq super yachts up to 60 metres in length with various powertrain options including hybrid technology. The Dynamiq Yachts production facility offers the highest standards of working environment and quality control. Sergei Dobroserdov was born in Moscow and started his career as a maritime lawyer. In 2000 he entered into the brokerage business as director of Nakhimov Yachts and successfully represented his clients in numerous sales, management and new construction projects including the 37 meter Aurelia, 55 meter Quinta Essentia, 65 meter Nataly, and 67 meter Anna. Managing the build of more than 20 superyachts ranging from 22 meters to 67 meters. Sergei has worked with major European shipyards including Heesen Yachts, Sanlorenzo, Benetti and others. This wide-ranging experience has given him a complete understanding of how the modern, efficient superyacht should be designed and built, and created the base for the Dynamiq concept of yachts with easy operation and management profiles as well as high resale values. 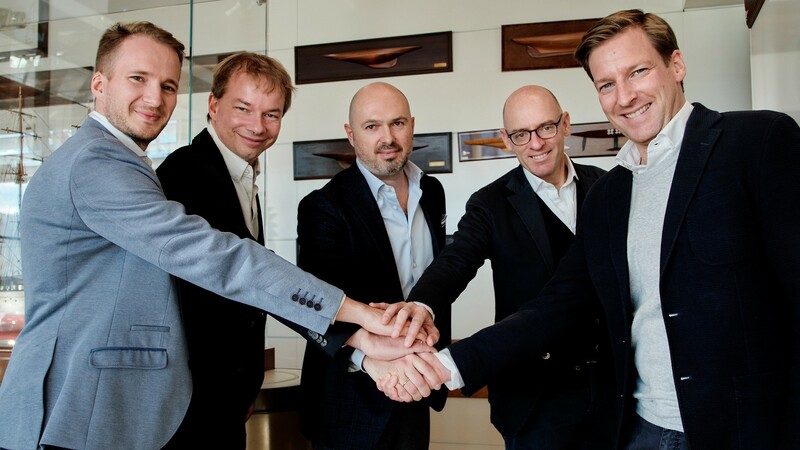 In 2013 Sergei founded the Solar1 championship for solar powered boats in Monaco, and he also heads the Monaco-based Dobroserdov Design studio. Born in Como, Italy, Marco Ramundo gained his degree in business administration in Milan. He began his career in 1996 as financial controller for the world’s leading waste management company before becoming financial director of Incas Group and S4win. He also consulted for leading Italian companies including Bistefani, Banca Popolare di Verona and Coop Italia. In 2003 he joined the Terra Moretti Group as CFO and as a member of the board of directors of several of its companies in the wine, luxury hotels, real estate and yacht businesses. In 2008 he became managing director of the Group’s Maxi Dolphin yard and in the following years built and delivered several key yachts including custom Maxi Dolphin motor yachts, and several sailing yachts that culminated with the 100’ (30m) Finot-Conq designed ultrafast sailing cruiser Nomad IV, which won a ShowBoats Design Award in 2014. 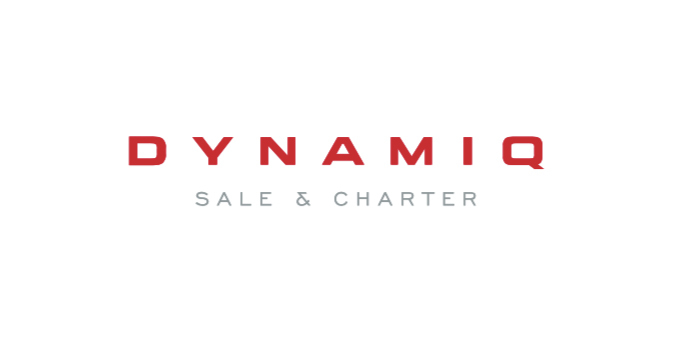 Joining Dynamiq as shipyard managing director he brings a wide array of skills, experience of leading luxury brands and extensive knowledge of the construction of superyachts. Rob Williamson combines a background in naval architecture with extensive practical experience running large superyachts. He studied naval architecture on the renowned Ship Science course at Southampton University in the UK, and following graduation he worked in the marine leisure sector. In 2000 he moved into superyachting, obtaining his Class IV Master of Yachts ticket for yachts up to 3,000GRT in 2003. Since then, he has commanded a series of high-profile yachts all over the world. Rob has been involved in the management of new construction projects both in Italy and The Netherlands since 2006. He oversees the design and development of the Dynamiq series as well as monitoring quality control at every stage of the build. Born in Ancona, Italy, Massimo Pietrini started his career at sea, as an Italian naval officer, before gaining a degree in naval architecture and Marine engineering at Genoa University. From here he began a long career as technical director at Cantiere Navale Morini, Ancona, overseeing the building of commercial ships and tankers. This extensive experience in shipbuilding primed him for the role of technical director at CRN Ancona (Feretti Group), building 43-60 metre yachts. His expertise as a technical director has since merged into project managing, working again for the Feretti Group, managing the construction of steel and aluminium mega yachts before settling on his current role. This role at Dynamiq sees Massimo utilising his 30 years experience in ship building to manage the construction of the D4 series luxury all aluminium yachts. After obtaining a degree in Business Administration in her home town of Riga, Maria went abroad and worked in luxury travel agencies in Greece, Spain, France and Monaco before setting up her own boutique travel company, where she worked directly with high net worth individuals on the Côte d’Azur. She joined Sergei Dobroserdov’s team in 2012 and managed five motor yacht constructions between 40 meters and 55 meters. As administrative director of Dynamiq, Maria is happy not only to oversee the day-to-day running of business but also to participate in the sales and marketing activity of the brand, bringing her deep knowledge of luxury products and the yachting industry to the team. She is bilingual in Russian and Latvian, and fluent in English and French. Gianni has grown up in the boating world since his teenage years. After his diploma from nautical technical college in the yachting hub of Viareggio, in 1989 he started his career as a yacht captain. 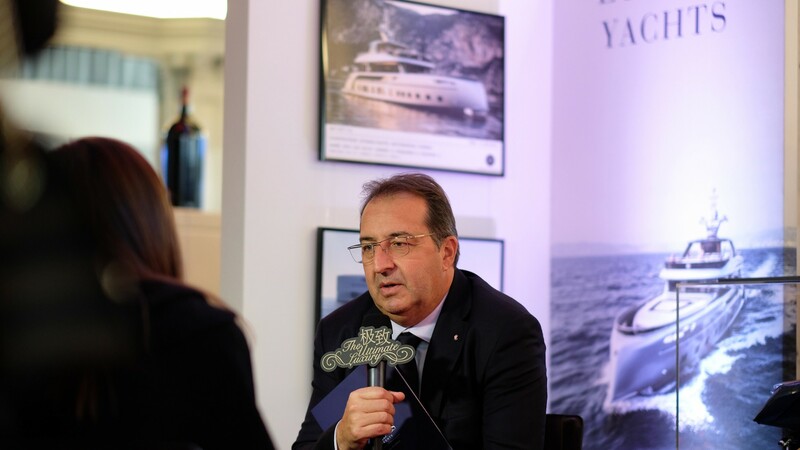 In 1999 he switched to yacht construction, first as a delivery captain and then as a project and production manager at the reputable and well-established Italian shipyards of Overmarine and Sanlorenzo. Gianni gained extensive experience and specialist knowledge of yachts from 30-40m as production manager of the famous Mangusta 130, as well as the Sanlorenzo 40 Alloy and 46 steel lines. Over the years, he has also acquired expertise in after-sales services, refitting, Flag/Class and warranty requirements. He brings this solid background and perfect blend of operational and production skills in the yachting industry to his role as Dynamiq Production Director. 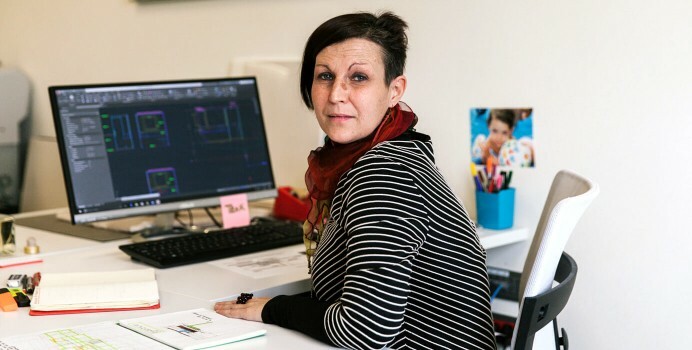 Following a degree in Industrial Design from the Milan Polytechnic, Paola has deepened her knowledge of design and the yachting world through some post-degree studies that projected her into the interior management of superyachts.Her many years of experience as an interior manager mean she has acquired full expertise not only in interior design,but also in the technical and engineering aspects of yacht construction. In fact, Paola has successfully participated in the design and build of several superyacht projects with leading shipyards and studios in Italy. 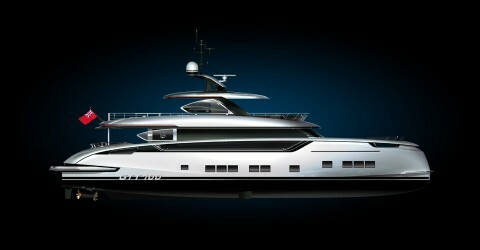 Last but not least, she contributed to the interior costruction of Jetsetter, Dynamiq’s first 39-metre vessel. Russian-born Yulia Korlyakova has more than 10 years of banking experience. She started her career as Senior Corporate Client Manager & Head of Trade Finance at JSC VTB Bank in Russia, where she successfully contributed to the financial structuring and modernisation of one of the biggest metallurgical plants in the Urals. Moving forward, she gained a Master’s degree in International Finance in France before relocating to Mauritius to work as Global Business Account Executive at Mauritius Commercial Bank. Prior to joining Dynamiq in 2016, she worked for Nakhimov Yachts as Yacht Manager in charge of the financial and operational management of several yachts. In her current role, Yulia is responsible for preparing, implementing and overseeing the company's financials. Born in Sumy, Ukraine, Bogdan pursued an International Business Management degree at a Business School in the Netherlands. He started his career as finance assistant in Germany 10 years ago. This extensive experience helped him to develop a very organised personality. Before moving into the marketing world, Bogdan worked in various companies in London, Ibiza and Mallorca. In 2015 he established his own luxury personal training company in Monaco. He successfully developed the brand and spearheaded advertising campaigns to drive sales. Being an entrepreneur and visionary, he established another company in Germany. This company concentrated on the online sale of luxury goods. His experience in the luxury sector, combined with crucial online expertise and proven marketing campaign results, primed Bogdan to work as the sales and marketing manager at Dynamiq in 2016. “I simply believe we can propose something better that offers owners more choice: versatile yachts perfect for any occasion, whether it's relaxing family cruising or vibrant deck parties. Fast but with ocean-going range, easy to order and customise with top world brands.” With this mission statement, Sergei Dobroserdov set up the Dynamiq brand in 2011 and assembled a ‘dream team' of world thinkers, yacht designers and naval architects to turn his concept into reality. Dynamiq’s first Gran Turismo Transatlantic superyacht, 39m Jetsetter unveiled at the 2016 Monaco Yacht Show, was quickly followed up with the GTT 115, a sleek gentleman’s motoryacht designed by Studio F.A. Porsche with hybrid propulsion and Hull Vane for fast, efficient and long-range cruising. 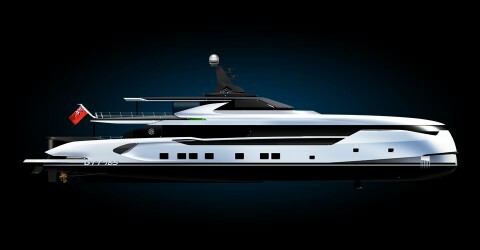 Both these models introduced a new concept of luxury yachting to the market and won numerous industry accolades. 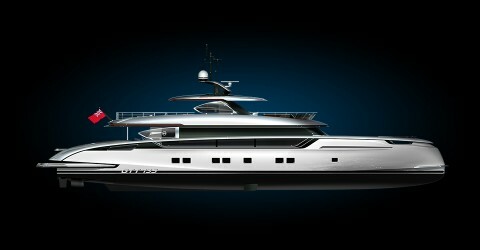 Dynamiq has now started development of its largest project to date: the brand new 41m GTT 135 continues all the hallmark features of the Monegasque brand, from aggressive styling to hydrodynamic efficiency and fast cruising speeds. "We’re looking forward to revealing more innovative developments in the Dynamiq range in the near future,” says Dobroserdov.